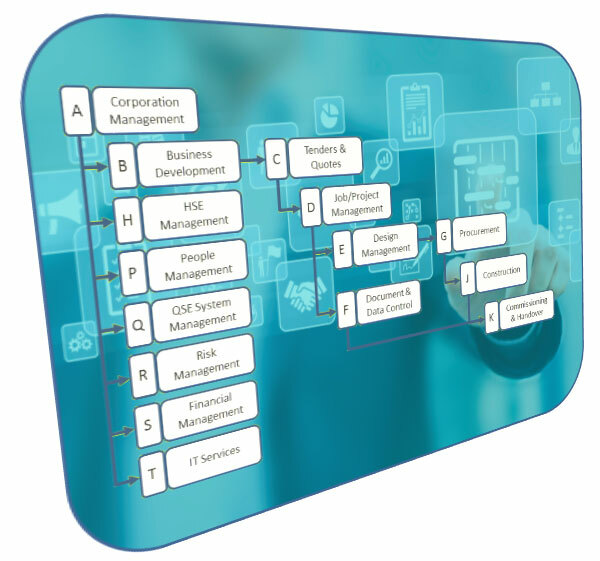 We help you to understand your organisation and its context in order to define the scope of your integrated QSE System by creating a value chain, mapping your key processes and setting key objectives & targets for the System. We advise and help you create the documented information required by ISO 9001, 45001 & 14001 plus any other documentation you consider necessary for the effective operation of your integrated QSE System. We advise and deliver document & data management solutions to small and medium size businesses and projects using our enterprise grade proprietary Windows based ADVANTAGE VBM document management software. We advise and deliver risk (based on ISO 31000), quality, safety and environmental management solutions to small and medium size businesses and projects using our proprietary Windows based QSE SMART software. We advise and help implement project management solutions including project plans & procedures, MS Project programmes, software tools for cost, scope & variation control; document, data & records management. We facilitate positive change in your organisational and promote staff ownership of your QSE System by conducting training including tailored on-site courses for ADVANTAGE VBM and QSE SMART software applications. We conduct internal audits of your integrated QSE System by a qualified auditor (RABQSA QM, AU, TL) to evaluate its performance and help you continually improve its effectiveness and relevance to your business. We design and build custom macro enabled Excel spreadsheets, MS Access and SQL Server database solutions to help manage your big data including standalone software apps and custom data migration and consolidation tools. Have you just won a large contract or your business has grown so rapidly that you now need to put some processes and controls in place but don’t know where to start? Have your ISO 9001, 45001 or 14001 certificates become difficult to maintain because you’re too busy or your QSE system no longer works the way you need it to? Is your QSE system ticking along nicely, but you just want reassurance or some innovative ideas to simplify, streamline and improve it? Where we specialise in Quality, Safety, Environmental, and Risk Management solutions for small to medium size businesses (from 5 – 500 employees). By providing on-site support services as well as proprietary software technologies, we can help you design, implement and maintain your integrated QSE and Risk Management system and ISO accreditations. Use our services to help map your key business processes in order to design and implement an ISO compliant QSE System (or improve your existing QSE System) based on a process approach and risk based thinking. 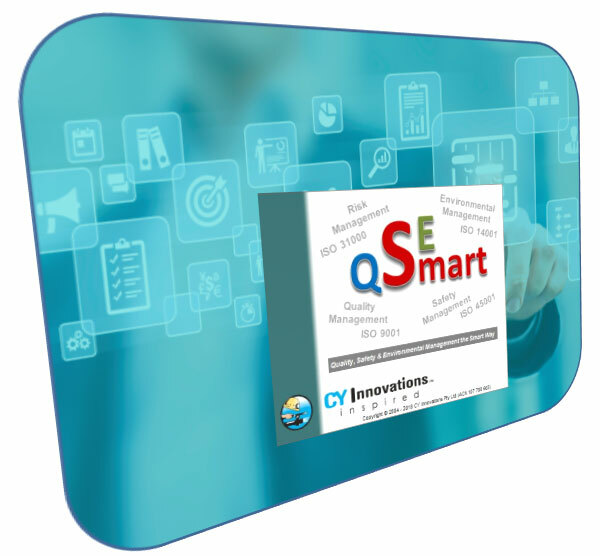 Use our QSE SMART software solution to demonstrate top management involvement in your QSE System in compliance with ISO Standards thru objectives & targets, management reviews and managing actions arising. Use our services to help create policies, procedures and the other documented information necessary to effectively operate your QSE System including an integrated QSE Manual and QSE system management plans. 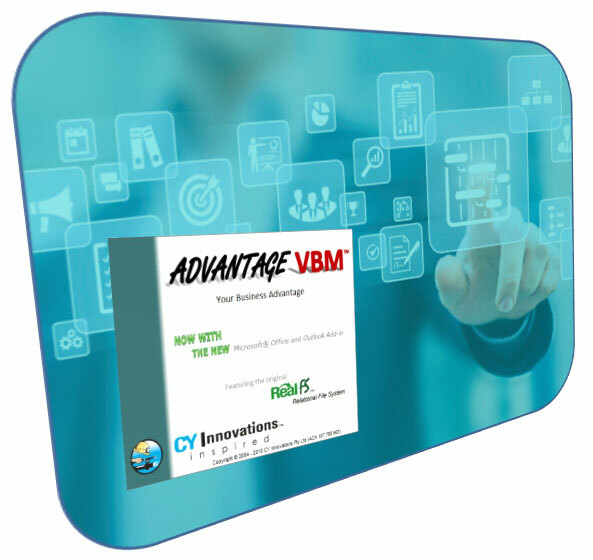 Use our ADVANTAGE VBM software solution to manage your electronic files including identification, organisation, review & approval, version control, access & distribution control plus our proprietary Add-in integration with the MS Office ribbon. Use our ADVANTAGE VBM software solution to capture, identify, organise and access the emails and attachments created in your business and projects plus our proprietary Add-in integration with the MS Outlook ribbon. Use our QSE SMART software solution to implement risk based thinking in your business in compliance with ISO Standards by identifying and managing risks & opportunities, assessing their impacts and managing actions arising. Use our QSE SMART software solution to manage non-conformances and system improvements in compliance with ISO Standards including their identification, classification and managing actions arising. Use our QSE SMART software solution to manage your internal audit and inspections programme in compliance with ISO Standards including planning, defining criteria and scope, recording results and managing actions arising. Use our QSE SMART software solution to manage accidents, incidents and hazards related to environmental & safety events including recording, initial response, analysis, investigation and managing actions arising. Use our QSE SMART software solution to manage corrective action arising from quality, safety, environmental and risk events in compliance with ISO Standards including identify, classify and assign to the responsible person. Use our QSE SMART software solution to manage service, inspection and re-calibration of your inspection, test & measuring equipment in compliance with ISO Standards including service plans, notifications and records. Use our QSE SMART software solution to manage your ISO 9001, 45001 and 14001 certificates, scope of certification for multiple offices and/or projects, and your ISO requirements compliance matrix. Create a value chain. Map your key processes. Set objectives and targets. Plan for change. Design, develop and implement an ISO compliant QSE and Risk Management System that works for you. Capture organisational knowledge for your Advantage. Create a common filing index based on your core business processes. File, find and share electronic documents, emails and records with confidence. Protect the true value of your company. Assure quality in your products and services. Protect your people and the environment. Capture ISO compliance evidence. Evaluate system performance and continually improve. Plan with awareness of your business risks and opportunities.